Ré n Rāgā Media Pvt. Ltd. is an initiative to create world class music. 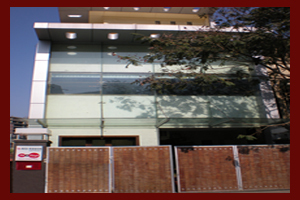 It houses two state of the art recording studios in the heart of the Indian Film and the Television industry in Mumbai. Our Studios are technically designed and acoustically treated by experts from France to meet International Standards and ensure highest quality of sound. We have the right reverberation time with the lowest air-conditioning and environment noise. Ré n Rāgā hosts the industry's top recording facilities known for its world-class blend of state-of-the-art technology with advance equipments like massive analogue power, processors and latest software. 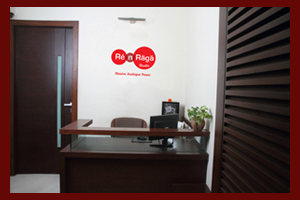 Ré n Rāgā features seasoned and dedicated sound engineers. Our engineers are skilled in a variety of genres to put their best to meet industry standards with superb quality. Our Services include recording, dubbing, 5.1 surround mixing, mastering and more. You can also digitize all your archives and transfer from outdated formats to a CD or a DVD or to any storage of your choice. Client comfort, Customer service and satisfaction are key factors for the Studios. Our studios A and B capable of meeting the needs of the industry's most discerning and legendary clientele, which include Composers, Celebrated Artists, Producers, Lyricists and Musicians from India and around the world, to name a few Hema Malini, Daler Mehndi, Anup Jalota, Shaan, Shreya Ghosal, Udit Narayan, Dr. L Subramaniyam and Kavita Krishnamurthy, Fusion King Prem Joshua and a number of known production houses like Balaji, Star Plus TV Channel, H M Creations etc. Our studios are aesthetically designed to provide warm and beautiful ambiance to allow your creativity to flow profusely. We have finest interiors and all amenities for a comfortable and enjoyable experience. Our terraces specially designed to comfort will woo your attention gracefully. 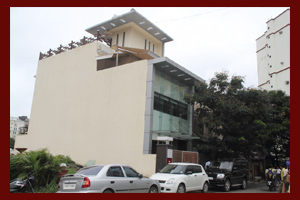 Ré n Rāgā (since 2010) in Mumbai is one of the most technologically advance recording studios in the country today. Ré n Rāgā Media Pvt. Ltd.